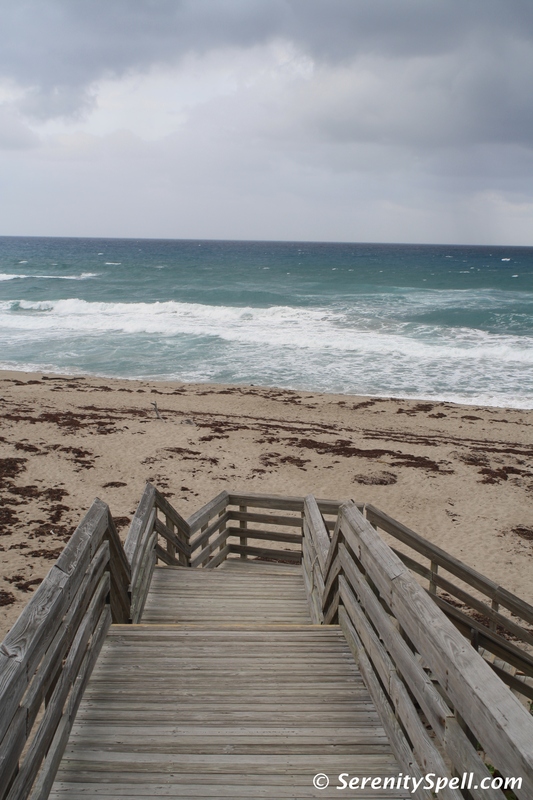 Located on a barrier island adjacent to Lake Worth Cove — on the north end of Singer Island in North Palm Beach — John D. MacArthur Beach State Park preserves some of the finest examples of subtropical coastal habitat that once covered southeast Florida. 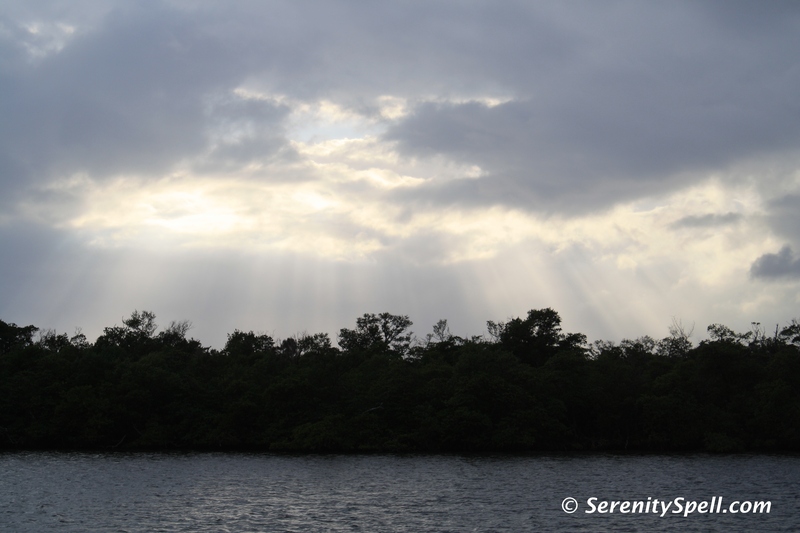 The various natural communities afford a haven for rare and endangered indigenous tropical and coastal plant species: the park encompasses 325 acres (of uplands and submerged lands), including a mangrove-lined estuary, coastal and tropical hammock, hardwood forests, beach, and shallow reef. 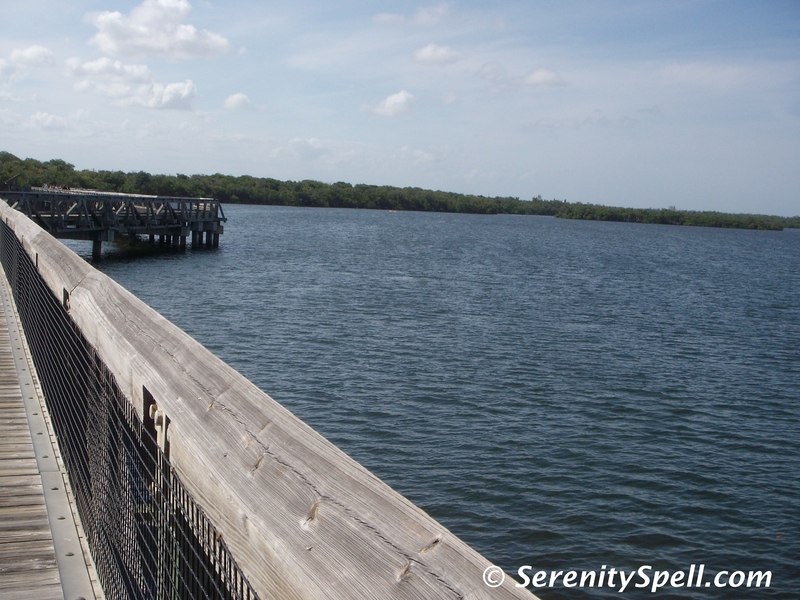 Lake Worth Cove itself is crossed by a 1,600-foot scenic boardwalk. Popular activities include swimming, picnicking, and surfing along the nearly two miles of pristine beach, lined with sand dunes and native vegetation; scuba diving, snorkeling, canoeing, and kayaking are also enjoyed by visitors. 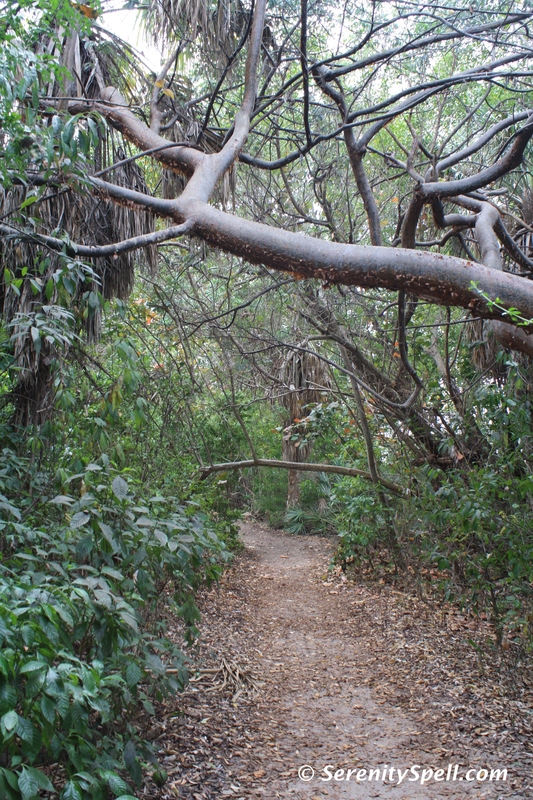 Hikers can investigate tropical habitats along two nature trails (the Butterfly Trail is no longer present): the Satinleaf Trail winds through a mixed maritime and tropical hammock along the Lake Worth Lagoon, and the Dune Hammock Trail leads visitors across the estuary bridge (boardwalk) and along the west side of the dune. Each time we’ve visited, we’ve traveled both trails, but always end up on the Dune Hammock Trail — and although it’s a casual hike, it’s an absolutely lovely view of natural Florida, that leads down to the beach and the crashing waves of the Atlantic. Birdwatchers can spot osprey, peregrine falcons, wood storks, herons, egrets, brown pelicans, terns, sandpipers, and gulls. Fishing is permitted from the non-swimming areas of the beach, as well as by canoe and kayak in the lagoon. The William T. Kirby Nature Center further explains the park’s natural communities and its role as a biological treasure to the region, offering Speaker Series and live animal exhibits. Children’s programs, guided snorkeling tours, and “Under Moonlight” concerts are among other special activities hosted by the park. MacArthur also offers guided nightly tours of its sea turtle nests — the area is a top nesting site for the endangered loggerhead, and the green and rare leatherback turtles, who nest from early May through late August. Having attended one of these tours — and speaking from one who was raised on a South Pacific island, accustomed to seeing sea turtles — it’s truly an amazing experience. Just bring your bug spray! Other park accommodations include a small amphitheater and picnic pavilions, both which are available for rental. The park was named for billionaire John D. MacArthur, who once owned a large portion of Palm Beach County (including this land). Donating the land in the 1970s in an effort to preserve it for future generations, John D. MacArthur Beach State Park officially opened in 1989. Munyon Island, named for Dr. James Munyon and itself hosting a fascinating history, is accessible only by canoe or kayak. 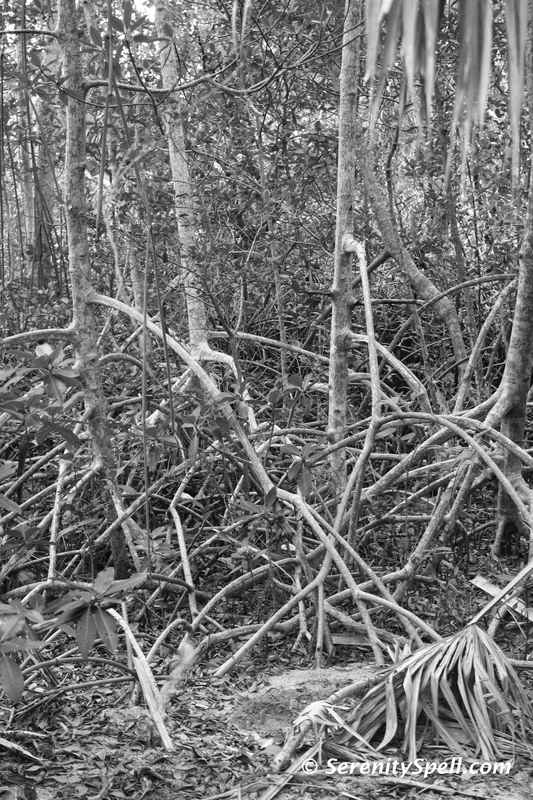 It allegedly supported one of the largest wading bird rookeries in South Florida. During the early 1900s, Munyon built the famous resort hotel on the island, “The Hygeia,” named for the Greek goddess of health and visited by wealthy (mainly northern) visitors. The hotel burned down in 1915, and the island has since remained uninhabited. But human occupation in these lands dates to 900 A.D., when Native Americans settled in the area. Evidence of their presence comes from recovered artifacts including discarded bones, shells, and pottery that were found in their refuse piles. In fact, the next Speaker Series hosted on March 10 highlights the prehistory of the park — “The Prehistory of MacArthur Beach State Park” — definitely something to investigate. Thanks so very much for your kind note — it’s *enormously* appreciated! 🙂 I just took a peek at your own blog; how lovely!! I can’t wait to read more. Thanks for that and for following my humble blog!